The Birmingham Worker calls on our supporters and friends to defend and lend their support to RMT rail workers who are out on strike. Attacks on working conditions and cuts to services have forced rail workers to take industrial action to protect their jobs and public safety. When railways were nationalised and there was an integrated national service, terms and conditions across the industry could be uniform. Now that privatisation has carved up the train network between dozens of different companies, working conditions and disputes between workers and managers can arise at any one of several companies at any time and standards and safety are constantly under threat from a race to the bottom, driven by the need to maximise profits. The government’s solution to the fragmentation, unaccountability and petty rivalries that privatisation has inevitably bred in the previously integrated national rail service is … more privatisation! Strike action is a DIRECT result of train management attacks on workers. If your train has been delayed, it is not the fault of workers, but management. Show your support for the workers. Cross Country operate trains in and out of Birmingham from Tamworth, Nottingham, East Midlands, Bristol, Cardiff, Sheffield, Leeds, Cambridge, Bournemouth, Reading, Newcastle, Edinburgh and Aberdeen. 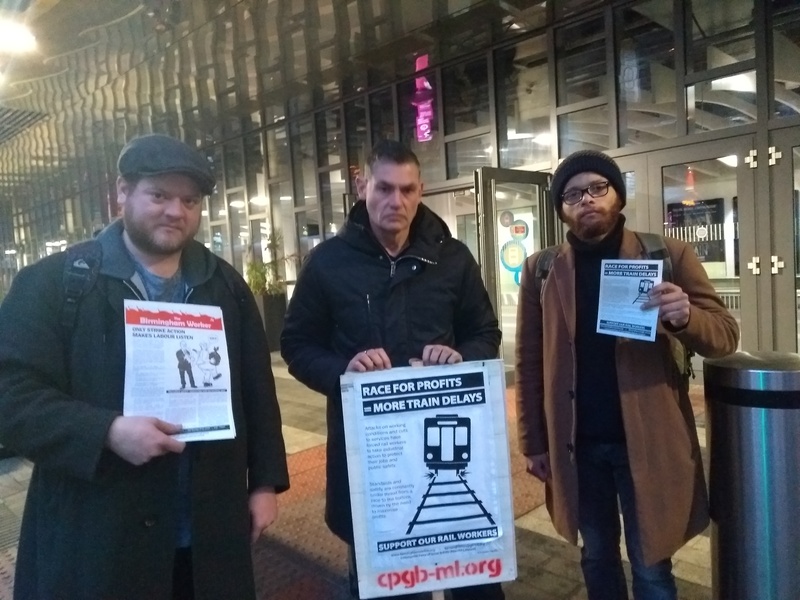 The “RMT has warned that these bogus train managers are acting outside of their substantive role and are poorly trained, incapable of carrying out the full role and responsibility of a fully competent and safety critical guard”. Strike action is a result of train management sabotaging talks.